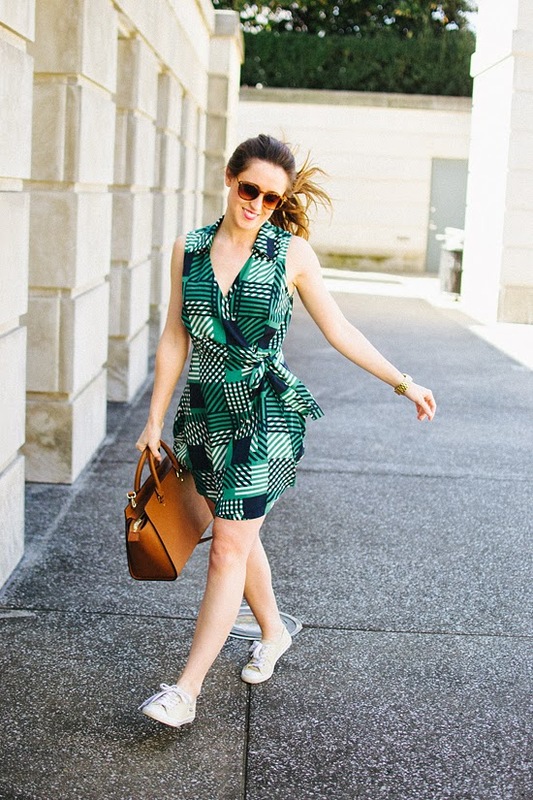 Oh hey, what do you know - my Le Tote wrap dress is just as great for work as it is for play! Finally shedding the tights & enjoying sneakers + bouncy pony-tails! P.S. The first runway show for Nashville Fashion Week last night was AMAZING… can't wait to sort through my photos & share with you soon! That dress with those sneakers is the cutest combo ever!! Love the dress with the shoes! Qt! I love this dress! It has such a fun, flirty style! 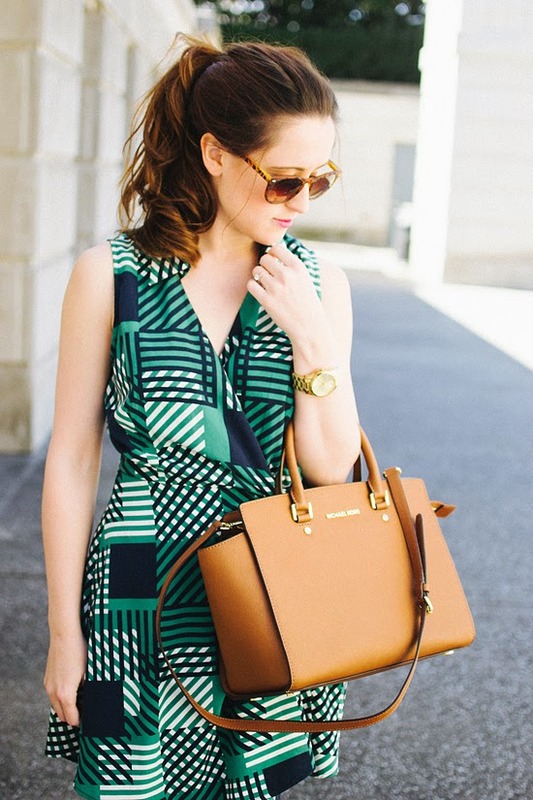 Love how comfy-casual this dress looks -- but still just the right amount of chic! Oh...I love it styled this way, too! The sneaks are such a cute casual touch! Absolutely love this look! The simplicity of it is so refreshing, and I'm loving the tan accessories. Gorgeous! love this dress! horrrrray for warmer weather in Nashville! Oh I like this look even more than the for work way! So cute! 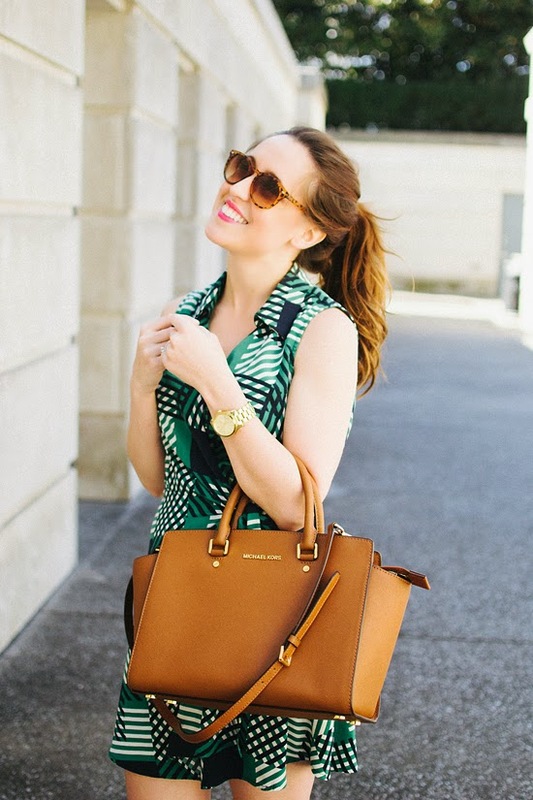 Okay...stop.....just stop....you are too adorable and I totally need to borrow that MK bag. Cool? Definitely loving the dress with sneakers! I have been waiting for the wrap dress to come back around, best. silhouette. ever. Excellent dress! I love both looks. Adorable! 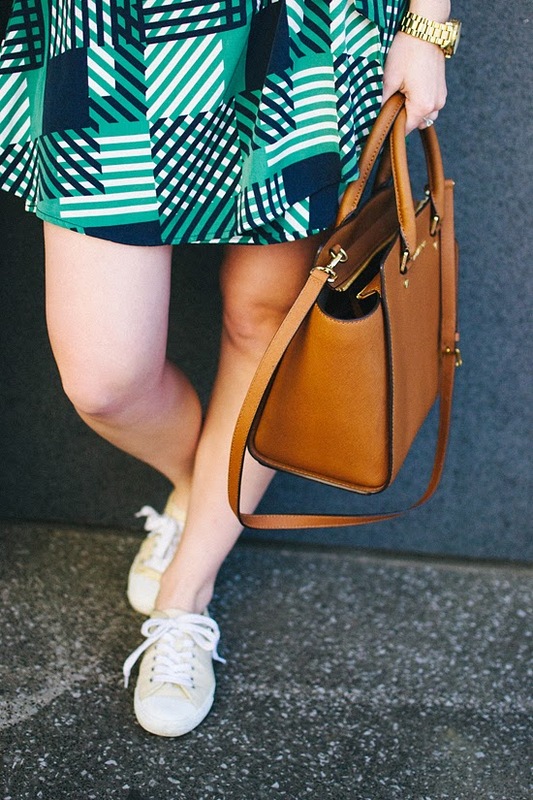 Love the wrap dress, and it looks so cute with the sneakers! You look ridiculously gorgeous in these photos! Love that dress! The colors are fantastic on you! i love this dress!! such a great style! love this dress, and love this casual style!!! 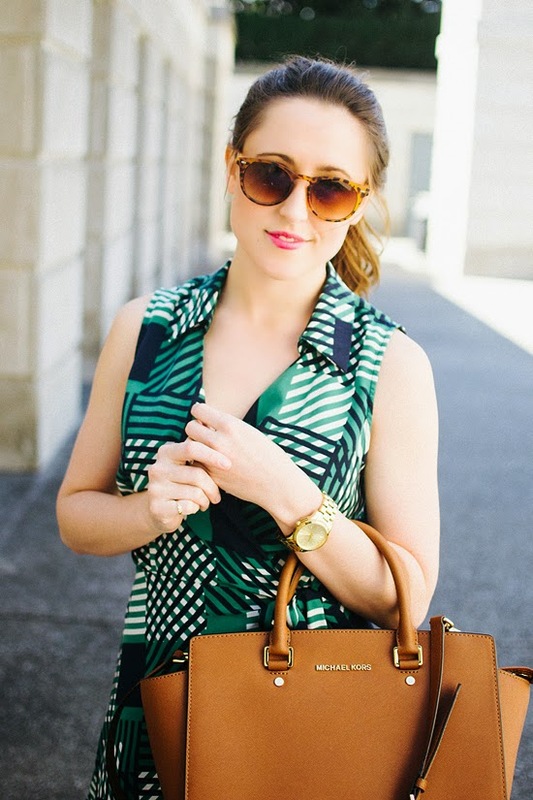 This color tan is my go to - so versatile, goes with everything! Thanks lady! Weekend clothes just totally steal all the thunder from the work week wear! Um did we just think of an amazing idea? Blogger closet exchange program? Cute dress, so youthful! You look stunning!